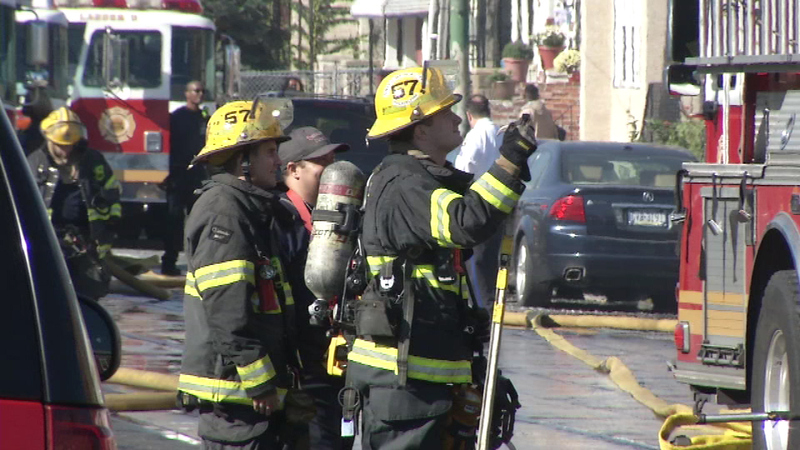 Firefighters battled a blaze on Girard Avenue in West Philadelphia on Saturday. 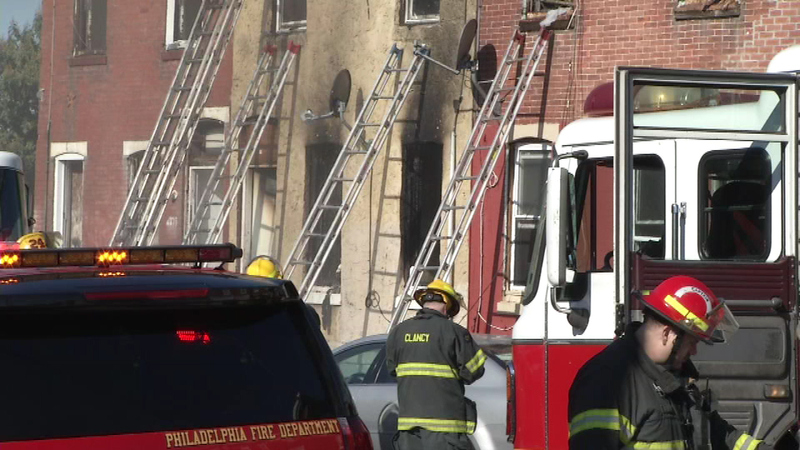 WEST PHILADELPHIA (WPVI) -- A 26-year-old woman has been charged with arson after allegedly setting her boyfriend's house on fire in West Philadelphia, destroying two other homes in the process. Police say it appears the suspect set the fire over money she claims her boyfriend owed her. The woman's boyfriend was not home at the time of the fire. 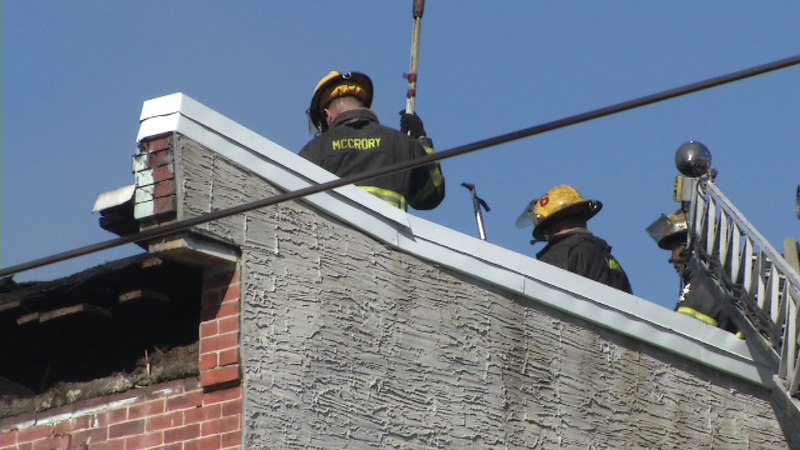 The flames erupted at a home in the 4900 block of Girard Avenue on Saturday morning. 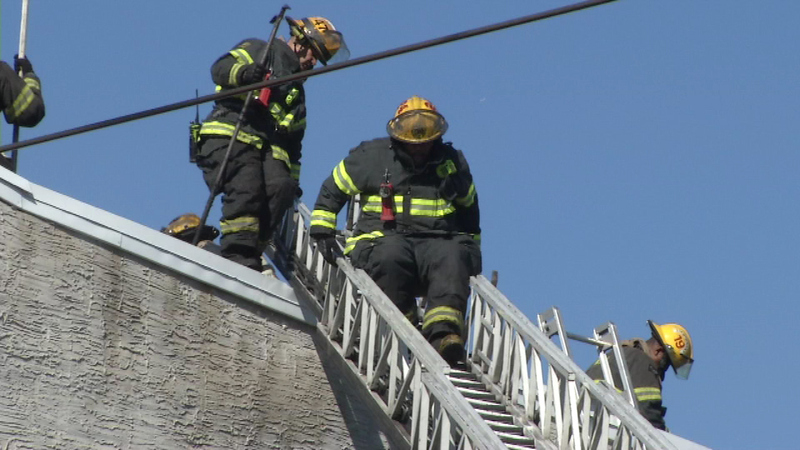 Firefighters say they arrived to find flames shooting from the three-story row home. "It was very, very scary. The smoke was like you couldn't see anything. 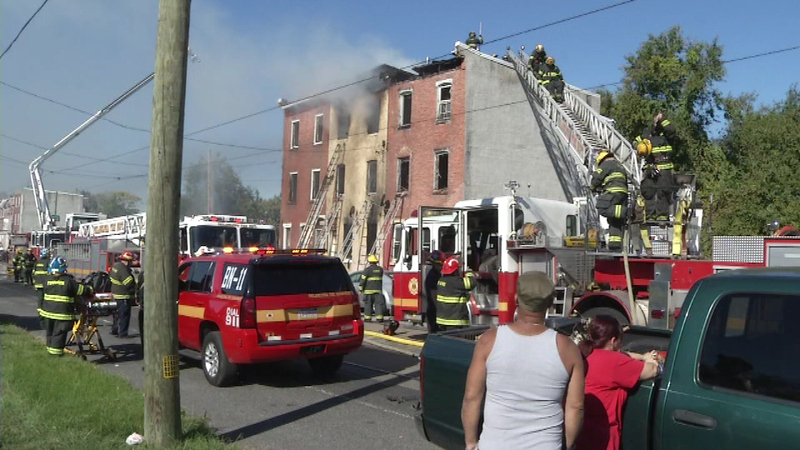 Black smoke was bellowing out the building, and just blowing down the street," said Harmony Allen of West Philadelphia. Harmony Allen, who lives next door, tells us she captured the flames shooting out of the building on her cell phone. 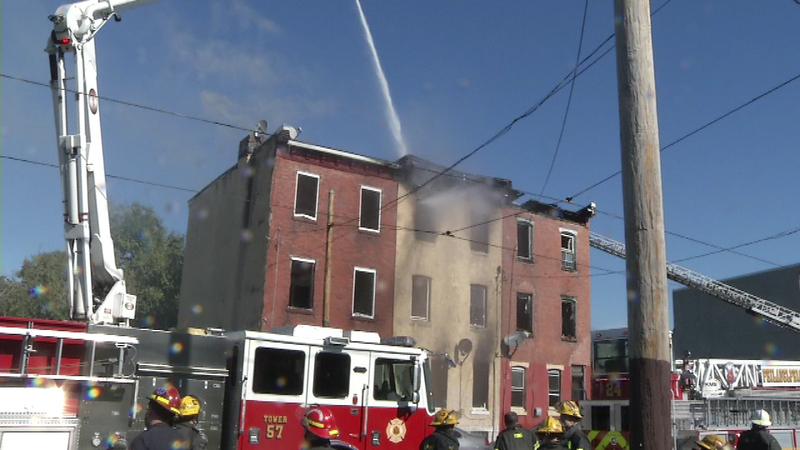 A 26-year-old woman has been charged with arson after allegedly setting her boyfriend's house on fire in West Philadelphia, destroying two other homes in the process. Two adjacent houses were also damaged as a result of the fire. 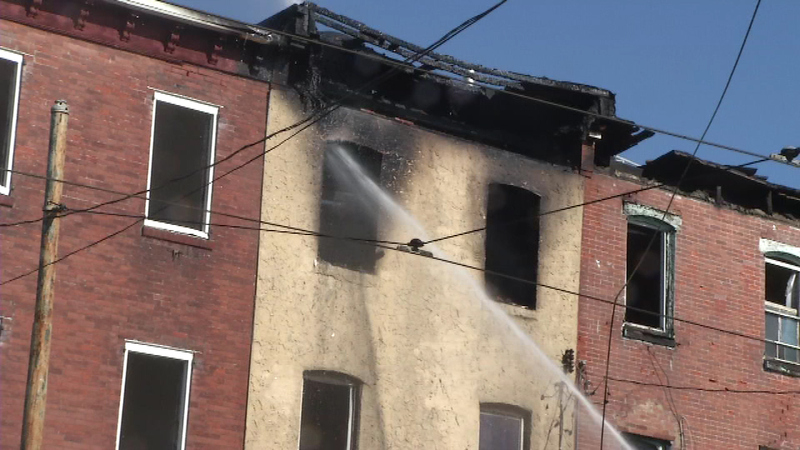 "Some of the pieces actually in the front of the house fell on some of the firefighters, but fortunately it didn't get them too bad," said Russ Johnson of West Philadelphia. 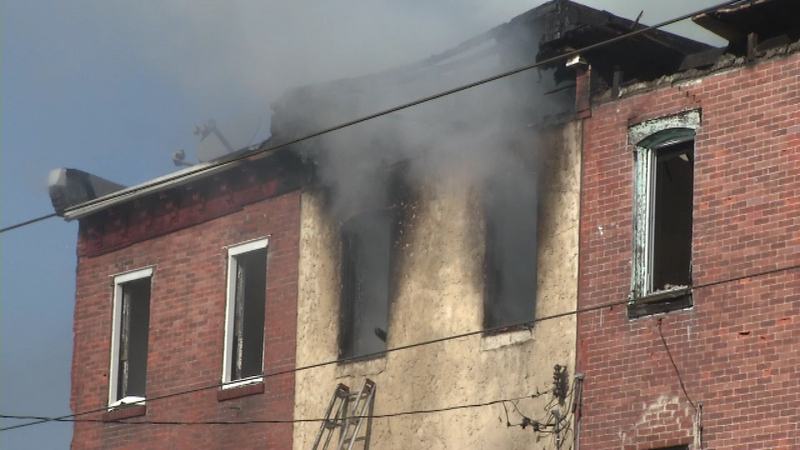 Officials say the suspect started the fire in the middle row home. It was vacant, but unfortunately there were people living on both sides. Based on the damage, officials say all three homes are a total loss. As for the suspect, she is being treated for burns to her left ankle at Penn Presbyterian Medical Center. She is facing additional charges, including risking a catastrophe and reckless endangerment.